Another hot udate for the Wurst Hacked Client – the most popular Minecraft hack at the moment! 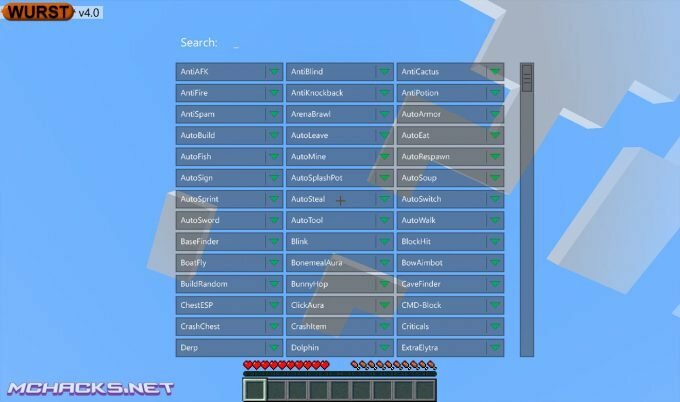 Wurst 4.2 is compatible with Minecraft version 1.10.2 (1.10.x) and in this update is include a smart ChestESP which gives different chests different colors. Not a huge update bul still cool. 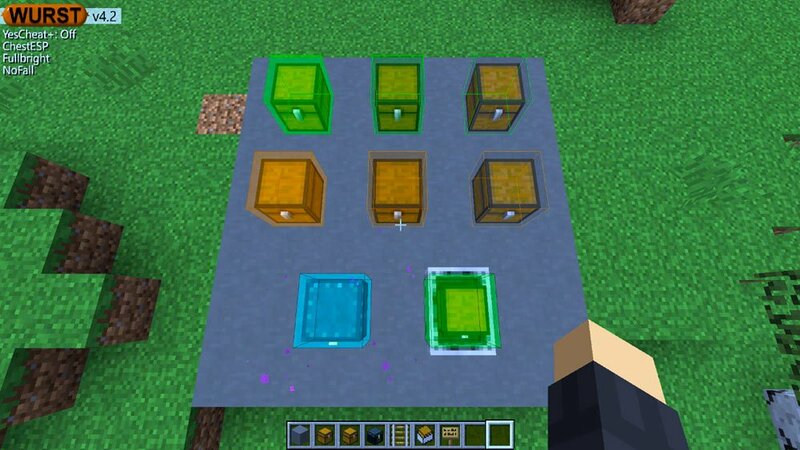 Bright color for chests that you never opened..
Darker color for chests that contain items. Gray with colored frame for chests that are empty (the colored frame indicates whether it is a trapped or normal chest). Choose the newly created profile “Wurst” and click “Play”. Chose the newly created profile “Wurst” and click “Play”.